Harry Ellis, the Amateur Champion, beat Doc Redman, the U.S. Amateur champion 6&5 to claim the 2018 Georgia Cup. Ellis took the lead on the 2nd hole when Redman three putted for bogey. The Englishman then extended his lead on the 5th hole before a sequence of birdies around the turn effectively ended the match. 6Up after 11 Ellis pared the 12th and 13th to comfortably see out a one sided match. This was the 5th time in the last 6 years that the Amateur champion has come out on top. The Amateur champions now lead the U.S. Amateur champions 12 – 9 in the Georgia Cup series. 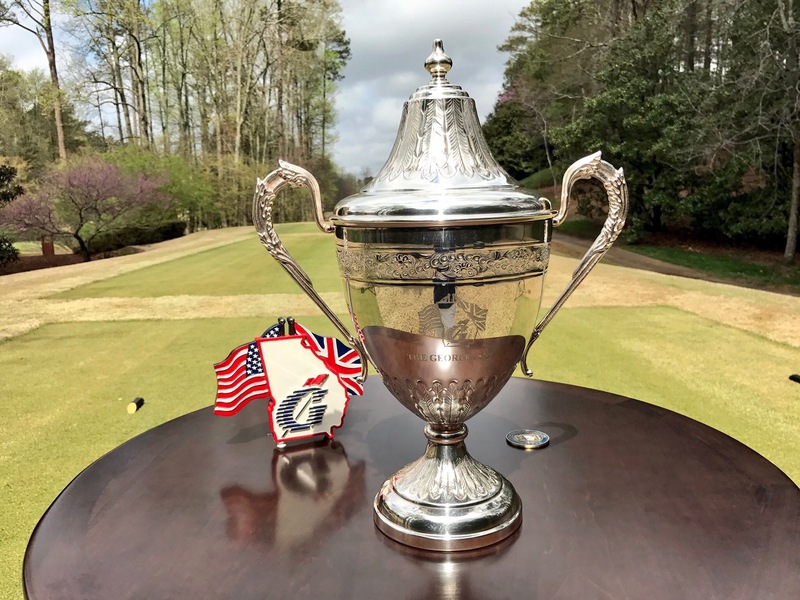 The Georgia Cup is an 18-hole match play event played between the reigning United States and (British) Amateur champions. This year’s match, the 21st, will be contested by Doc Redman (USA) and Harry Ellis (ENG). The two reigning Amateur champions are always in town in late March ahead of The Masters for which their respective wins gained them honorary invitations, albeit only one year competing (2018). The match was established by The Golf Club of Georgia (GCOG) and was first contested in 1998. Craig Watson was the Amateur Championship representative in that first match. He lost to Matt Kutcher, obviously now a well known PGA Tour pro, 3 & 1. Located in Alpharetta the GCOG has two Arthur Hills-designed courses, the Lakeside (L) and the Creekside (C). Both have hosted the event in the past but since 2006 the Lakeside has taken precedence when it comes to hosting the Georgia Cup match. The 2018 Georgia Cup is being played at 12.30pm (5.30pm GMT) on Sunday 25th March. It is a charitable event with funds this year being raised for the St. Jude Children’s Research Hospital. Following last year’s win for Scott Gregory (ENG) over Curtis Luck (AUS) the Amateur champions lead the United States champions 11 – 9. Gregory’s win made it five wins out of the last six for the Amateur champion. All of the previous results can be seen in the Appendix below. Doc Redman won the U.S. Amateur in Los Angeles last August beating Doug Ghim on the 37th hole of the final after some stunning play over the closing holes. From Raleigh in North Carolina he is a sophomore at Clemson. He comes into the match having made the cut at the Arnold Palmer Invitational in Orlando last weekend. Current world rankings: SPWAR #12 / WAGR #35. Harry Ellis won the Amateur in equally dramatic fashion coming from four down with five holes to play to overcome Australian Dylan Perry on the 38th hole of the final. Ellis, from Southampton in Hampshire, is a Redshirt Senior at Florida State. He has played 8 events for the Seminoles this year winning two of them. He is expected to turn pro in early June once the U.S. College season has ended. Current world rankings: SPWAR #36 / WAGR #38. 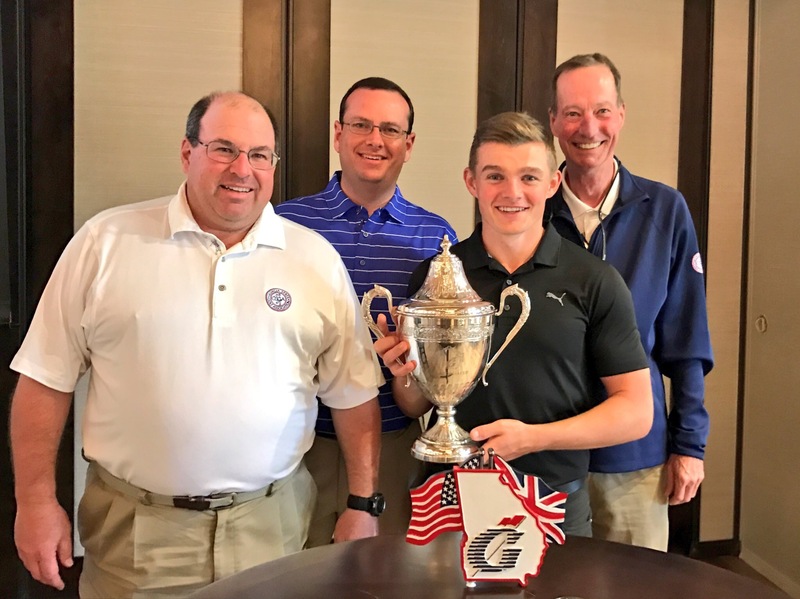 With both Redman and Ellis at College in the U.S. and having also played in the 2017 Walker Cup match they should be pretty familiar with each other. A good match can be expected with two of the most competitive and mentally strong amateurs in the world on show. As always it will be interesting to see which player wins and gains a small confidence boost ahead of the main event – The 2018 Masters at Augusta National. This entry was posted in Georgia Cup and tagged 2018, Doc Redman, Georgia Cup, Harry Ellis, The Golf Club of Georgia. Bookmark the permalink. Arthur Hills. Not Alfred. Thanks! Thanks – I have amended it. I’m not sure I can blame spell check for that either. Mark. No problem at all. Thank you. I used to be on the staff there for many years … I’m a Georgia Cup co-founder with three others and designed the logo, too … and also knew Arthur well. Great memories and continued affection for the event.